When the bill was at full strength in the Senate, it received the support of network neutrality advocates, including former FCC Chairman Tom Wheeler and the state’s Attorney General Xavier Becerra. Mayors from some of California’s largest cities have also endorsed SB 822. While the bill implemented the types of protections that past federal network neutrality provided, such as prohibiting paid prioritization and allowing equal access to all traffic on the Internet, SB 822 in its original form created additional protections. For example, the bill would have also prevented some types of zero-rating, which controls access to content by exempting data caps, but only to certain types of content. The legislation passed in the Senate on May 30th, with a vote of 23 - 12. 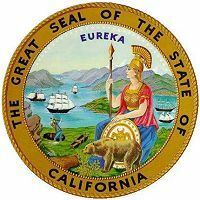 SB 822 is the second bill introduced in California’s legislature to address network neutrality and the legislation favored by those who understand the dangers of ending the policy. In January, another senator introduced a bill that advocates consider too weak to be meaningful. Sen. Kevin de Leon’s SB 460 had been widely criticized as a hollow effort at network neutrality protections for several reasons. It failed to address “access fees” imposed by ISPs when content providers and app providers want to reach end users. The bill also left open loopholes that would fail to protect interconnection points from congestion due to activity by ISPs toward companies that manage traffic between ISPs and the rest of the Internet. Without this protection, ISPs are able to create congestion at connections points, which interferes with other services, such as VoIP. De Leon's bill was expected to help large, national providers while hindering newcomers and innovators that need access to an open Internet. The question loomed -- if California's Democratically controlled state legislature couldn't get the job done, could any other state? In mid-June, de Leon and Wiener announced that they would combine their bills and retain the strongest parts of each. The “contingent enactment” process requires that both bills must pass or neither become law. Organizations such as Free Press, Fight for the Future, and Color of Change had pointed out the loopholes in SB 460 and refused to back it, encouraging constituents and lawmakers to instead get SB 822 on the books. Late in the evening of Tuesday, June 19th, Democratic Senator Miguel Santiago from Los Angeles sent a series of amendments to the members of the Communications and Conveyance Committee, who were scheduled to meet the next morning. With 12 hours to review the amendments, Chairman Santiago scheduled a vote on SB 822. The committee incorporated the amendments to the horror of its author. Wiener tried to withdraw the bill as amended but the committee passed it 8 - 2 and referred it on to the Committee on Privacy and Consumer Protection. Throughout the process, AT&T, Verizon, and their allies had been pouring money into California to influence public opinion and the vote. In addition to their own direct attempts to sway lawmakers, AT&T supports an organization named CALInnovates that uses social media to undermine support for SB 822 and the committee members that have expressed support for the bill. Members who voted to pass the bill — described by Wiener as “eviscerated” — quickly faced accusations of bipartisan corruption. Regardless of accusations and angry statements from inside and outside the Capitol, Wiener and Santiago have since struck up a deal. In early July, the two engaged the help of Assemblyman Rob Bonta from Oakland and de Leon to refill the gaps Santiago’s amendments created. By combining SB 460 and SB 822, the crisis created in committee will likely be averted. According to Wiener, the provisions that had been stripped from the original language of the bill will be brought back. The protections in SB 822 will be accompanied by rules in SB 460 that prevent state contracts with ISPs that violate network neutrality. Advocacy groups are cautiously optimistic. The next step for both bills to be brushed up, and for the correct appropriations committee to examine potential costs. After that, a vote in the full Assembly in early August before the legislature ends for the session on August 31st.